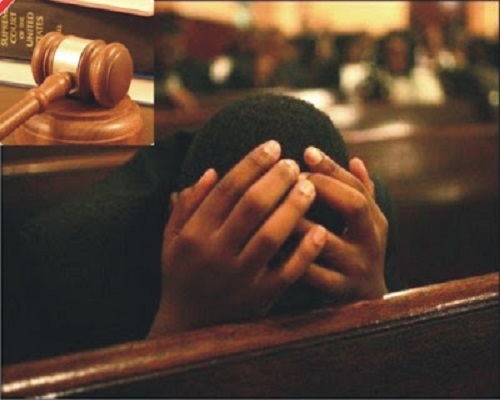 The Isokoko Police Division, in Agege area of Lagos has arrested a 35-year-old man, identified as Michael Igbaniba, for allegedly sleeping with his 15-year-old daughter for two years. The Lagos State Police Public Relations Officer, Chike Oti, a Chief Superintendent of Police, CSP confirmed the arrest, adding that suspect was arrested after his teenage daughter, who could no longer bear the sexual abuse, reported the matter to the police on Sunday. The unnamed victim, according to Vanguard, told the police that her father had her when he was 20 years old and out of wedlock. She said, “He went to pick me from my mother after getting married to another woman without any child. “My father started sleeping with me immediately I moved into the house, initially, he said he would stop paying my school fees if I refused to sleep with him or if I told anyone. The Police stated that during investigations, it was discovered that the 15-year-old was pregnant, but the pregnancy was aborted with the assistance of her father. He said, “I did it because I wanted more children. I was advised by friends to bring her to live with me and my wife, because of our inability to have a child since we got married. “By the time she came to live with us, my wife did not get pregnant. The PPRO added that suspect was being interrogated at the Family Unit of Isokoko Division. He said, “The Commissioner of Police has ordered a thorough investigation into the matter.